The Uber Visa Credit Card is truly designed for folks who are on the go, want healthy rewards-earning opportunities and appreciate the benefits of a no-annual-fee credit card. The card is specially tailored for those people who enjoy dining out and traveling, offering an eye-popping 4 percent cash back for every $1 spent on dining and 3 percent back on hotels and airfare, 2 percent on online purchases (including Uber rides) and 1 percent on your other purchases. Best of all, there’s no annual fee to worry about offsetting nor will you be charged foreign transaction fees when you use this card abroad. Cardholders find themselves reaping rewards from Day 1. The Uber Visa Credit Card offers an incentive of 10,000 points (valued at $100) if you make just $500 in qualifying purchases within the first 90 days after the card is issued. Your rewards are measured in points and can be redeemed for a statement credit, bank deposit, Uber credits or gift cards. The minimum redemption is $25 (2,500 points) for statement credit or gift cards, but you can redeem points toward Uber rides as soon as you have a balance of at least 500 points ($5). And that's just the beginning of the perks. Cardholders can earn a $50 statement credit toward digital subscriptions by spending at least $5,000 on your card each year. And by paying your mobile phone bill with your Uber Visa Credit Card, you qualify for $600 in protection against covered for mobile phone damage or theft. You can file up to two claims a year. 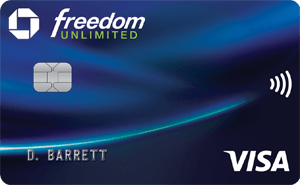 Earn 10,000 bonus points – valued at $100 – after you spend $500 in the first 90 days as a card member. Earn an excellent 4 percent cash back on your dining purchases, 3 percent cash back on your airfare and hotel purchases, 2 percent back on your online purchases (including Uber) and 1 percent back on all your other purchases. You'll earn all these rewards without having to worry about paying an annual fee or foreign transaction fees. This card is designed for people who are out and about. If you're more of a homebody who mostly cooks at home and rarely travels, there are better no-annual-fee cash-back rewards cards for you. Just like you, the words "no fee" always grab our attention, and that phrase comes up frequently when talking about the Uber Visa Credit Card. There is no annual fee, ever. There is also no fee for foreign transactions, a big deal for international travelers. Also "free" (if you use your Uber Visa Credit Card to pay your mobile phone bill) is $600 worth of protection in case your cell phone is damaged, lost or stolen. We love the Uber Visa Credit Card cash-back rewards program. In a fast-paced, eat-when-you-can world, getting 4 percent back on all your dining out is impressive. From coffee and a Danish to fine dining to delivery pizza, those rewards can add up in a hurry. Add to that 3 percent back on hotel stays and airfare, 2 percent back on all online purchases (yes, that includes Uber rides) and 1 percent back on all other purchases and you have a valuable addition to any wallet. To get the ball rolling, you can easily earn 10,000 rewards points ($100) for making just $500 in purchases in the first 90 days you have the card. As an added kicker, you can earn $50 worth of statement credit toward your digital subscriptions (Hulu, Netflix, Pandora, etc.) if you spend at least $5,000 per year. The Uber component to the card is another feature we really like. Like most cash-back cards, you can redeem your rewards points for a statement credit, a bank deposit or a gift card. However, the Uber Visa Credit Card also allows you to easily redeem points to pay for Uber rides. This is a tremendous convenience if Uber is your "go-to" form of transportation. To take full advantage, you will want to register your card with your Uber App. This isn't a card that is worth getting if you are only going to use it a few times a year. In fact, your account will be closed if you don't use the card for five consecutive billing cycles. Transferring your balance from other credit cards may not be worth it, as there is no introductory rates for transfers. One area where the card seems to be lacking is Uber-related incentives. The cash-back rate for Uber purchases is just the 2 percent, which is what you’ll earn for any online purchases. And there are no extra bonuses for redeeming points toward Uber credits. Both cards offer 4 percent cash back on dining, but the Capital One® Savor® Cash Rewards Credit Card also offers 4 percent back on entertainment. While the Uber Visa Credit Card has no annual fee, the Capital One® Savor® Cash Rewards Credit Card has a $0 intro for first year; $95 after that. Both cards have welcome offers. The Capital One® Savor® Cash Rewards Credit Card offers $500 cash back after you make $3,000 in purchases in the first three months you have the card. The Uber Visa Credit Card offers just 10,000 rewards points (valued at $100) but at a much lower threshold ($500 in purchases over the first 90 days). Capital One® Savor® Cash Rewards Credit Card offers additional benefits such as travel accident insurance and car rental insurance as well as the opportunity to receive a monthly statement credit for a Postmates Unlimited monthly membership through December, 2019 with the Capital One® Savor® Cash Rewards Credit Card. The Uber Visa Credit Card offers additional benefits such as up to $600 to cover replacement or repair costs if your cell phone is lost, stolen or damaged. When it comes to rewards, the Chase Sapphire Preferred® Card offers two points for every $1 spent on travel and dining but just one point for each $1 spent on everything else. Points can be redeemed for airline tickets, hotel stays, merchandise or cash. The Uber Visa Credit Card offers 4 percent cash back on dining, 3 percent on airline travel, 2 percent on online purchases and 1 percent on everything else, so at face value it looks like you could stand to earn substantially more in rewards; however, rewards accumulated with your Chase Sapphire Preferred® Card are worth 25 percent more when you redeem them for travel through Chase Ultimate Rewards®. Even more, Ultimate Rewards® points are transferable to a number of hotel and airline loyalty programs, so they could be worth substantially more than $.01 each. Both cards have introductory welcome offers. The Uber Visa Credit Card offers 10,000 reward points (a $100 value) for spending at least $500 in the first 90 days you have the card. The Chase Sapphire Preferred® Card offers 60,000 reward points (worth up to $750 if redeemed for travel through Chase Ultimate Rewards® or $600 if redeemed for cash back) after you spend at least $4,000 in the first three months you have the card. Discover it® Cash Back has a unique introductory bonus offer. Discover will match, dollar for dollar, all the cash back you've earned during the first year you have the card. If you do the math, you could rack up some substantial cash back thanks to that match knowing that earning $300 in the first year is effectively the same as earning $600. The Uber Visa Credit Card offers 10,000 reward points ($100 value) for spending at least $500 in the first 90 days you have the card. The Uber Visa Credit Card offers 4 percent cash back on dining, 3 percent on airfare and hotels, 2 percent on online purchases (including Uber) and 1 percent on everything else. Discover it® Cash Back offers 5 percent cash back on up to $1,500 spent in categories that rotate quarterly (you must activate the bonus categories each quarter). You’ll earn 1 percent back on all other purchases and in the bonus categories after you reach the spending cap. 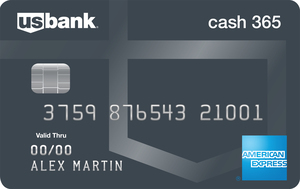 Neither card charges an annual fee or foreign transaction fees, but Discover it® Cash Back has an introductory interest rate of 0 percent on purchases and balance transfers for the first 14 months you have the card (then, 13.99% - 24.99% Variable). The Uber Visa Credit Card has no introductory APR offer. If you use Uber quite a bit to get around town, particularly if you’re heading out to eat or using Uber to navigate a new city as you come and go from your hotel, the Uber Visa Credit Card is handy to have in your wallet. With no annual fee and no foreign transaction fees to worry about, all those rewards your earn can go right back into your wallet and help fund your next travel or dining adventure.